The words “Halloween” and “candy” go together like vampires and bats. It’s hard to think of one without the other, and frankly, we wouldn’t want to. But can you get your festive fix this holiday without ruining your health? 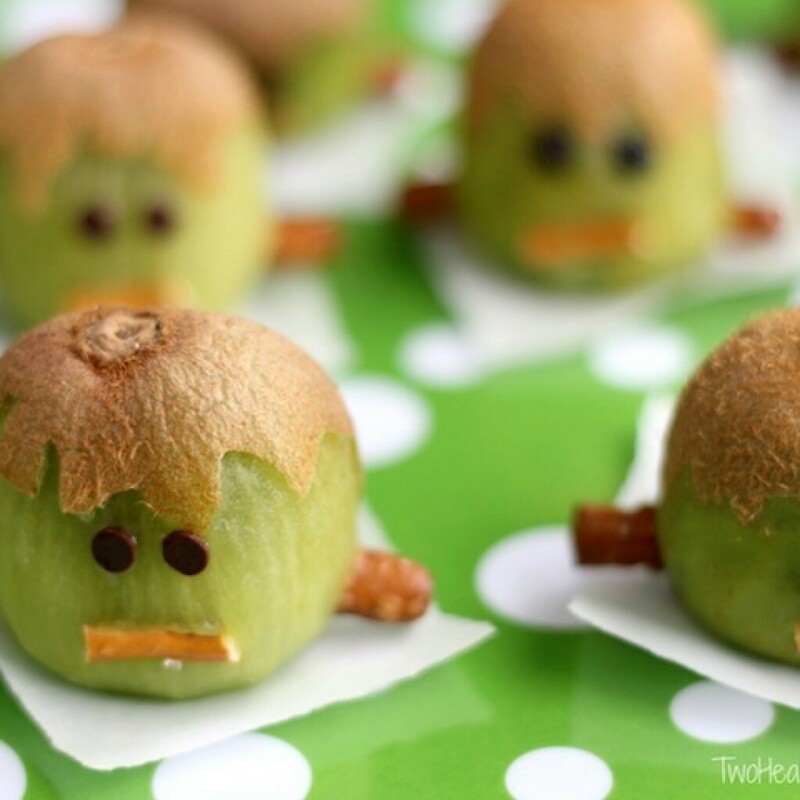 Read on for sweet advice and super fun healthy Halloween recipes. 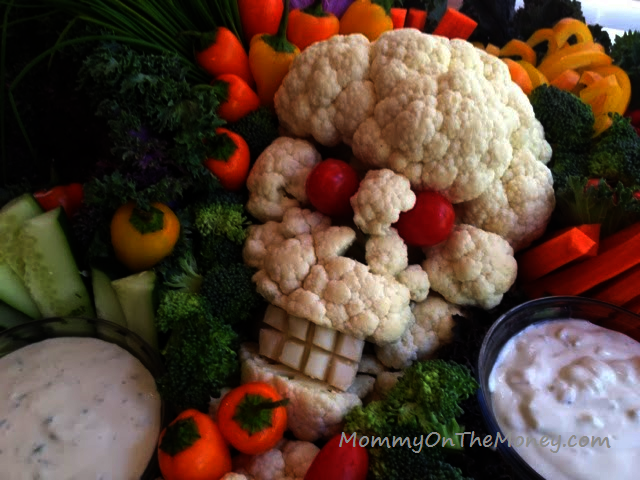 Is ‘Healthy Halloween’ An Oxymoron? To show off the food of the season, we created the Halloween Food Pyramid. It’s obviously not entirely serious, but it does try to educate you about the many nutritional pitfalls and perils of the season. I mean, you can’t make people psyched to eat cauliflower and cherry tomatoes on October 31st, can you? But is it realistic to ban sweets? Registered Dietician and Nutritionist Lauren O’Connor of the Nutri-Savvy blog says, “Halloween is fun, festive, and yes, includes candy,” she says. “I don’t believe in restriction.” O’Connor advises that limiting or omitting food groups leads to an unhealthy relationship with eating, and can cause a rebound effect of overindulgence. Enjoy traditions like parties and trick-or-treating, she tells us, but have kids choose their top five picks, and consume treats that night. “Storing candy for months can lead to temptation,” she cautions. “And yes, parents can have a sweet tooth, too.” Busted! Don’t get caught raiding your kids’ stash. Consider donating excess wrapped candy to a homeless shelter or home for the aged. When it comes to end-of-meal treats, Certified Nutritionist Consultant, Megan Gilmore of Detoxinista.com thinks you can have your cake, and eat it, too. Artificial ingredients are what she avoids, not necessarily sweeteners or heart-healthy fats. In fact, her No-Bake Twix Bars and Raw Almond Butter Cups (add bananas to make them “Elvis-Style”) offer fiber and essential minerals along with delicious taste. Long on good intentions but short on time this fall holiday season? Tiffany Yang of CuteFoodForKids.com has your back with recipes and ideas for easy-to-make snacks. 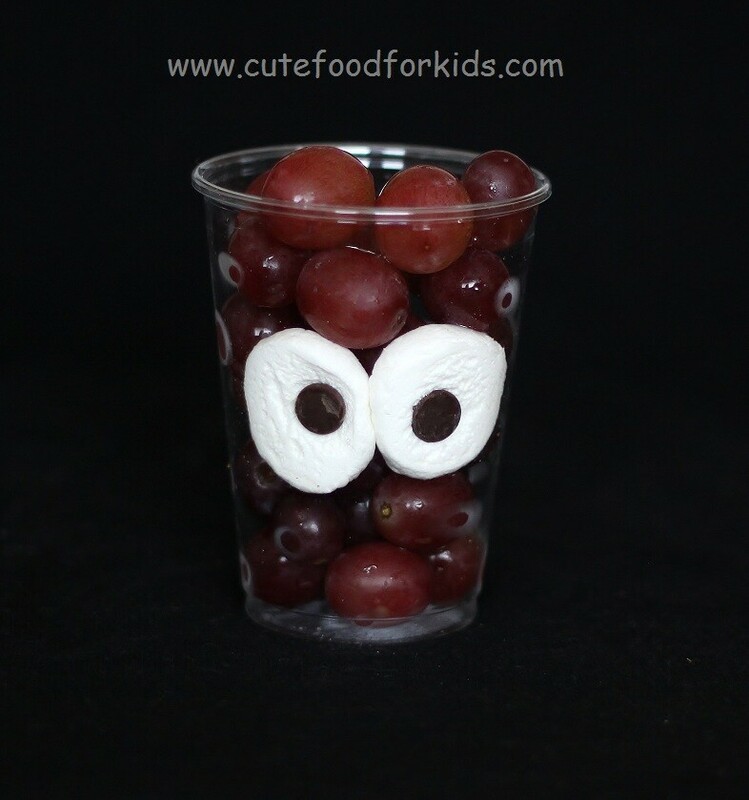 For classroom celebrations and block parties, it doesn’t get much simpler (or more clever) than her silly, spooktacular Monster-In-A-Cup treats. Grab some clear cups, some sliced marshmallows, and a handful of chocolate chips and you’re off to the (three-legged) races. Best part? You can make a version of these snacks in the cups for kids with allergies, and your treats can range from super-healthful (sugarless cereal Os) to decadent (chocolate pudding). 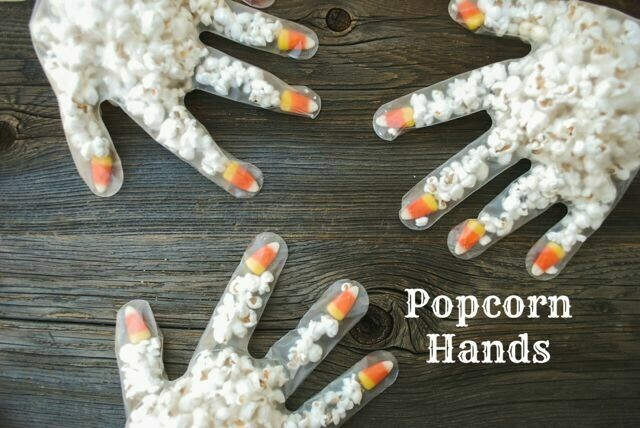 For equal ease, whip up some of Sally Kuzernchak’s ghostly Popcorn Hands. 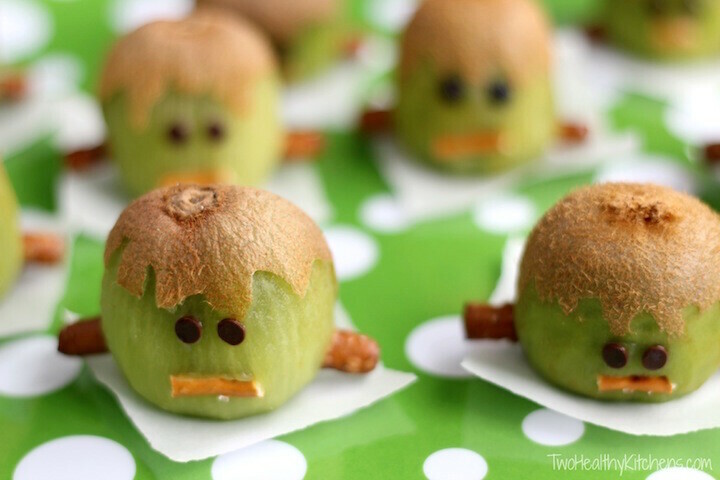 As a busy mom of two, and a registered dietician, Sally’s blog Real Mom Nutrition is full of ways to make food fun, fast, and (kid-) friendly. These hilarious party favors feature a just-right amount of candy along with low-fat, high-fiber popcorn. To re-cap: Some sugar is fine. Got it. But do we need to consider our little monsters’ fangs this Halloween? Yes, according to Dr. Katie Foster, DMD, of The Smile Shop Pediatric Dentistry in Reno, Nevada. “Sour candy is all the rage,” she admits, and kids are going to want their share. “But these mouthwatering treats contain acid which potentially erodes the hard outer portion of teeth called enamel. When our enamel is compromised-cavies ensue.” She suggests enjoying sour, sticky, and hard candies in moderation, and brushing and flossing after enjoying them. If you don’t have access to a sink or floss, she advocates that “rinsing the mouth with water is a helpful tool” to prevent decay. Bottom line? Find joy in Halloween as you would any holiday. Eat and share traditional treats within reason, and round out the fun with healthier food choices that will wow them with Halloween flair. 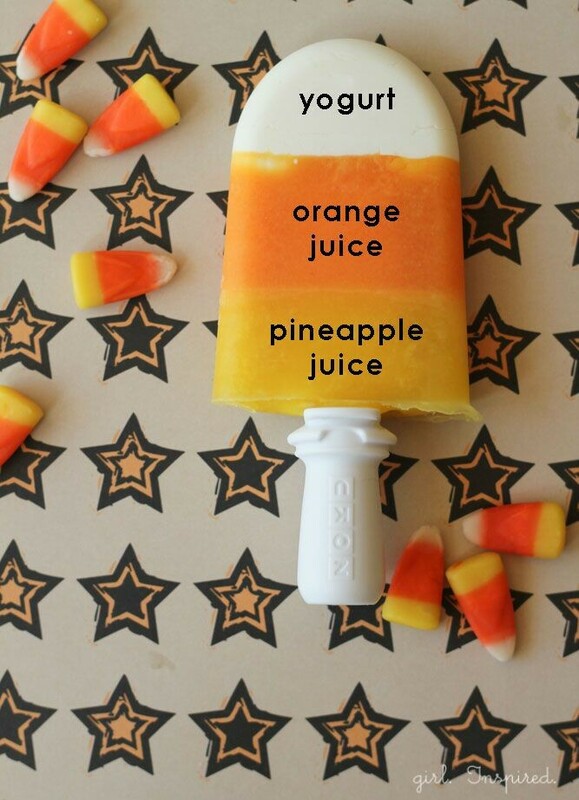 Have a healthy Halloween treat we missed? Let us know.